The government may have been partially closed, but the North American Aerospace Command (NORAD) is still following Santa Claus around the world. 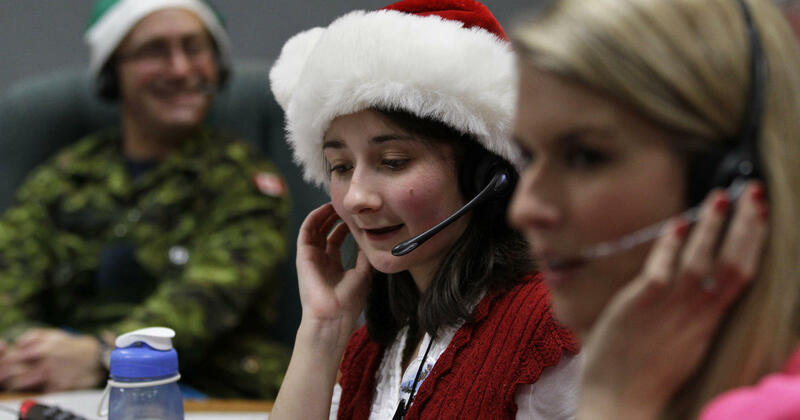 Tracking has already begun and NORAD will call children's calls during the day and at night to find out where Santa is and when he will make his long-awaited arrival. Maj. Andrew Hennessey of the Canadian military said NORAD started persecuting the Santa 63 years ago and began advertising in a local newspaper in Colorado Springs. "It was a Sears administration that printed a phone number that was supposed to call the Santa directly, and they called our Operations Director at the time, and he accepted a call from the child, thinking it was a prank and a joke Figure out what was going on, quickly, and NORAD Tracks Santa continues that tradition today. " Santa was seen on Monday afternoon as he traveled across Saudi Arabia, Hennessey said. "Generally, it starts around the International Date Line, going to New Zealand, Australia, the Pacific, to Europe, and finally to North America. We will be accompanying him with NORAD fighters in Canada and the United States NORAD offers live updates via phone, Facebook, Twitter and email to our radars in the systems we use every day to defend North America. If you call 877-HI-NORAD, you will receive an update.